When it comes to fighting chronic and terminal illnesses, early detection means everything. Once upon a time, that was a real challenge. We simply lacked affordable, accessible, and accurate diagnostic tools. That’s rapidly changing on a number of disease fronts, though — cancer, diabetes, HIV, etc. 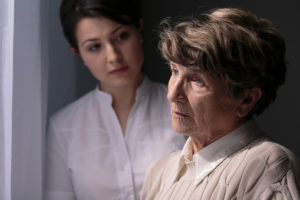 But Alzheimer’s and dementia have been harder to catch early, in part because doctors have only recently begun to understand the causes and predispositions. CNN has a promising new report, though. Researchers recently announced a cutting-edge saliva detection test that could tell patients if they’re vulnerable to Alzheimer’s with a simple swab and a few minutes of patience. Can scientists really find Alzheimer’s in saliva of all things? Yes, more or less. Technically, they’re looking for metabolites, which are molecules created by chemical changes in the brain. Some specific metabolites have been linked to neurological changes specific to memory loss or dementia, and those are the metabolites the new test looks for. Conclusive? No. Final? No. Promising? Extremely. This Alzheimer’s detection test is just the latest brushstroke in a new picture of the future, when serious diseases might be diagnosed in mere minutes using nothing more than a cotton swab or (in some cases) an iPhone. If we’ve learned this much in only a few years, just imagine how much more we might know by this next time next year! Well, nobody saw this one coming. 50 First Dates made its way to theaters in 2004 and has aired ad infinitum on cable ever since then, so many of you may already be familiar with its premise. Sandler plays a bachelor living the wild life in Hawaii, but when he meets a lovely young lady named Lucy (Drew Barrymore), he sees fit to change his ways. The only problem? Lucy suffers from short-term memory loss and starts each morning with no memories from the previous day. It’s a silly romantic comedy, but according to TIME, one plot point in particular caught the attention of dementia care providers. In the film, Sandler’s character records videos to help comfort Lucy and remind her of who he is — and who she is. One nursing home, the Hebrew Home at Riverdale in New York City, decided to give that ideal a whirl for their own patients suffering from Alzheimer’s or dementia. “[The film] was fluff, but it made me think, ‘How could that translate to our residents with memory loss?’” says Charlotte Dell, the home’s director of social services. It’s working, Hebrew Home tells NBC New York. The video program helps to set a positive tone each morning, establish routine, and trigger residents’ memories. Of course, every patient is unique. Alzheimer’s and dementia present differently in different people. Experts expect the therapy to be more effective in some people than in others. Still, isn’t it nice to know that life-changing inspiration can come from the most unexpected places?